Experience the Star Wars saga reimagined as an Elizabethan drama penned by William Shakespeare himself, complete with authentic meter and verse, and theatrical monologues and dialog by everyone from Darth Vader to R2D2. This Royal Imperial Boxed Set includes all three volumes in the original trilogy: Verily, A New Hope; The Empire Striketh Back; and The Jedi Doth Return. Also included is an 8-by-34-inch full-color poster illustrating the complete cast and company of this glorious production. Authentic meter, stage directions, reimagined movie scenes and dialogue, and hidden Easter eggs throughout will entertain and impress fans of Star Wars and Shakespeare alike. 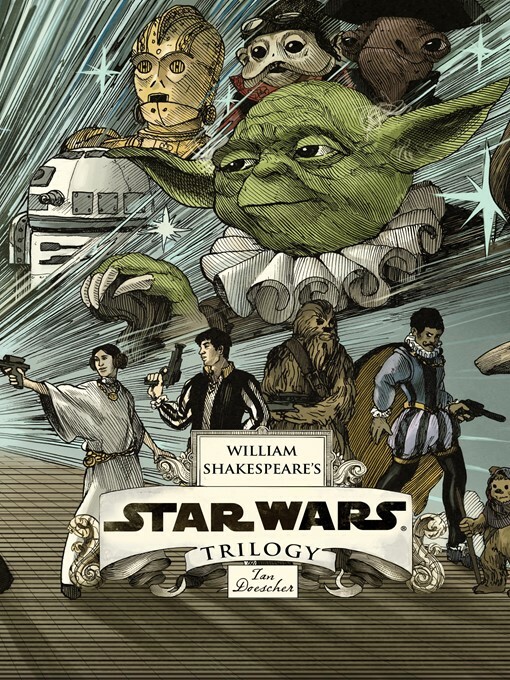 Every scene and character from the film appears in the play, along with twenty woodcut-style illustrations that depict an Elizabethan version of the Star Wars galaxy.